Insulation is one of the most common features of contemporary homes. Homeowners with older models are choosing to install insulation in order to reduce their carbon footprint, and many others are installing insulation in order to keep the temperature in their homes consistent and comfortable throughout the year. 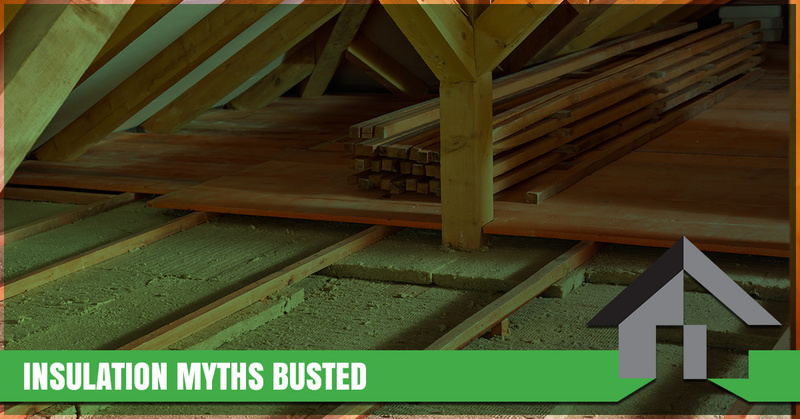 While insulation provides many benefits to homeowners across the country, there are several myths that have created confusion about insulation’s safety and usefulness. In today’s post, we’ll debunk some of the most common insulation myths we have encountered over the years. If you’re interested in insulation installation for your home, contact one of Insulation Pros of Colorado’s insulation contractors to learn more! We’ve helped hundreds of Colorado residents improve their quality of life by installing new insulation! This myth is completely understandable, as most of us associate the word ‘insulation’ with heat retention; however, insulation is useful throughout the year. Many homeowners turn on their heat during the winter months and begin to run their air conditioning when the weather warms up. While it’s true that hot air rises and will escape through your attic and walls more quickly than cool air, any leaks in your home will allow conditioned air to escape throughout the day and night. This not only leads to your HVAC system having to work much harder to maintain a stable temperature in your home, but it also leads to higher energy bills. 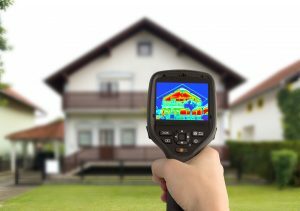 The Environmental Protection Agency has reported that properly installed insulation can save homeowners 15 percent on their monthly energy bills each month. Homeowners who plan to remain in their homes for the foreseeable future can expect a fantastic return on their investment by insulating their attics and homes. Generally speaking, this claim is manifestly false. While homes with shoddy insulation may only see a marginal increase in their overall energy efficiency, homes without any insulation – particularly in the attic – can expect to see substantial decreases in their overall energy usage. Much of the cool and warm air produced by your home’s HVAC system will escape through the walls and attic if your home is improperly insulated, but having insulation installed will help you prevent air leaks in your home. Cellulose insulation can cause breathing problems when it is immediately installed, and this is because particles of the insulation fill the air during the installation process. However, there are no health hazards from cellulose insulation once it has been installed and it is no longer being tampered with. Moreover, cellulose insulation has an incredibly high fire safety rating, making it a great option for homeowners who are concerned about their insulation contributing to a fire. Fiberglass insulation is one of the most common forms of insulation that can be installed in the home. With a great price tag and high efficiency ratings, it’s a great choice for homeowners who are looking for a cost-effective insulation for their homes. Many homeowners worry that fiberglass particles will remain in the air after the installation is complete, but this is just another insulation myth that has yet to be eradicated from the minds of homeowners across the country. Fiberglass insulation is composed of sand, recycled glass, and a few other compounds that are safe for humans and pets alike. You’ll typically see insulation contractors wearing masks and protective clothing when they install fiberglass insulation, but this is only to prevent loose particles from entering their airways. As is the case with cellulose insulation, there are no ongoing health risks with fiberglass insulation once the installation is complete. Of course, you’ll want to use gloves whenever you’re handling fiberglass insulation, but this is a standard safety practice whenever you handle any fiberglass products. We hope that this post has helped to clarify any incorrect information you may have heard about insulation. Insulation is one of the best ways to decrease your carbon footprint and to save money on your monthly utility bills. Stay tuned for future posts in which we will continue to debunk common insulation myths! If you’re interested in learning more about insulation, contact Insulation Pros of Colorado today for Top Rated® insulation installation services!